When you stay at Hotel Mar Azul y Surf in Suances, you'll be next to a golf course and 9 minutes by car from Ensenada de Ballota. Featured amenities include luggage storage and a safe deposit box at the front desk. Self parking (subject to charges) is available onsite. 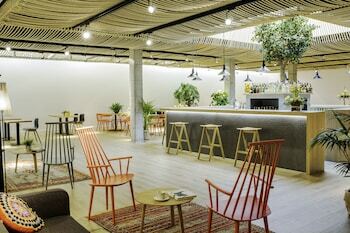 With a stay at Hello Loft in Sitges, you'll be near the beach, just a 5-minute walk from Sitges Beachfront and 5 minutes by foot from La Ribera Beach.